When the League started in August of 2013 there were no rings awarded for the first championship team. However, following that year (2014) a decision was made by the Directors to award rings to all Championship teams going forward. It meant that only Ruff House the 2013 Championship Team was without rings. 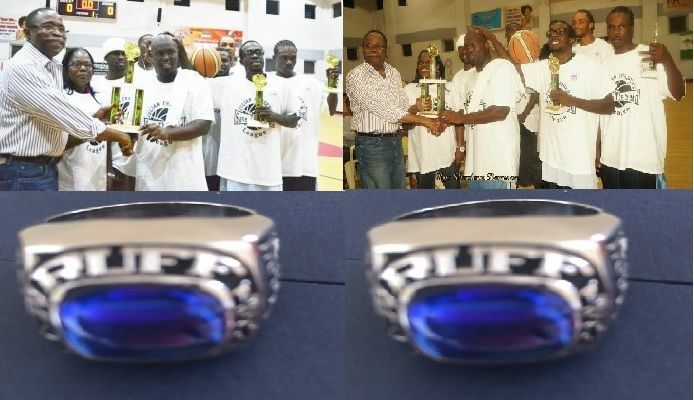 Both founders of the popular Basketball League Third District Representative Honourable Julian Fraser RA, and Bishop John I. Cline of the Save the Seed Energy Centre made the decision and promised to give rings to the first championship team. They have been both true to their word. 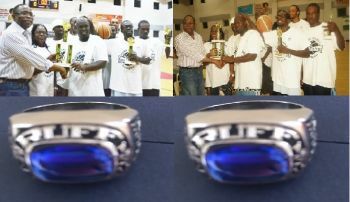 According to Chairperson of the Honourable Julian Fraser National Basketball League Committee Mrs Kharid T. Fraser the 2013 Championship Team Ruff House will be awarded their rings on Saturday March 18, 2017. Mrs Fraser confirmed that all Ruff House players who participated in the 2013 Championship team along with their Coach will be given Championship rings. Both founders and directors Honourable Fraser and Bishop Cline are expected to be on hand to witness the handing over of the rings. When the League opens, the 2016 Champions Splash Brothers will receive their rings as is tradition. Ruff House had etched their name in history by beating Avengers 109-91 in the deciding Championship Game 3 of the first ever Hon Fraser Save the Seed National Basketball League at the Save the Seed Energy Center in Duff’s Bottom on Sunday November 3, 2013. Ashfield Frett had led the way for Ruff House in picking up 30 points while MVP Shamoii A. Dagou finished with 21. Planning has also started for the 2017 League now in its fifth year. Mrs Fraser promised that in the coming weeks the date for the League will be announced, along with other logistical information. The 2016 Championship Team Splash Brothers will be given their rings in August at the opening ceremony of the 2017 season. The 2014 to 2016 championship rings for the Hon Julian Fraser Save the Seed Basketball League have been sponsored by Digicel (BVI). In 2013 Ruff House, a team from the Belle Vue area of Tortola, was the first Championship Team, in 2014 Bayside Blazers, 2015 West Gunners and in 2016 Splash Brothers. The Hon Julian Fraser Save the Seed League is governed by the International Basketball Federation (FIBA) rules, endorsed by the BVI Basketball Federation and has its own by-laws and governing committee. do you mean the floor? They don't know that they're shortening their careers and ruining the quality of their life playing on that court. Concrete & steel are bad for the body. Wooden or rubber floors only. Plastic & padded floors cause injuries and destroys the soft tissue in the body. None of them will be able to play any sport in another few years. Check the affidavit, rewarding intermediate players with rings will stunt their development. They will brag and show off their rings and when faced with tougher competition they're gonna avoid it bc they can get rings here.